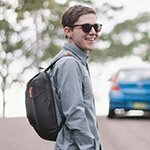 I decided to give myself a bit of a ‘travelling light’ challenge by using the 10l arpenaz for my recent trip across the Eastern states of Australia. 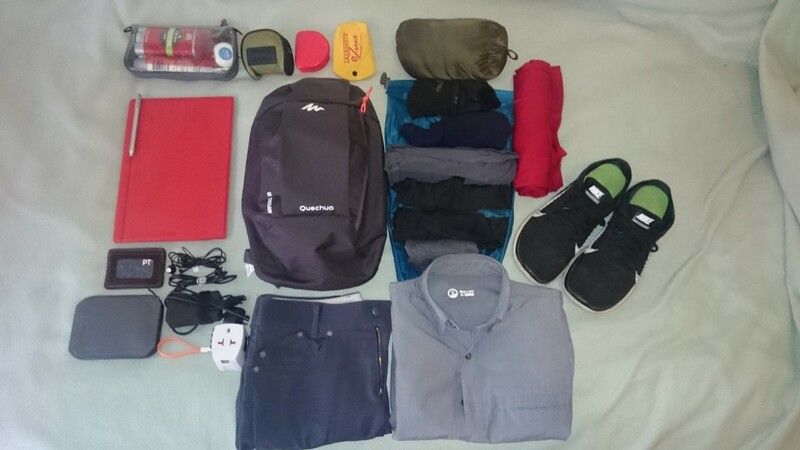 The total packed weight of the bag came to 3.3kg (6.6lbs). I travelled for roughly 10 days by car from Sydney to Melbourne and then from Melbourne to Mt Gambier and back to Sydney. During the trip I experienced 30+ degree Celsius (86f) days and lows of around 9 degrees C (48f). It didn’t rain but it was quite windy and the weather unpredictable. I found that wearing my merino wool t-shirt as an undershirt and the Outlier Merino Co/Pivot over the top provided a pretty good coverage of a wide range or temperatures. When it was hot and the sun shining I simply rolled up the sleeves and undid a button and it was fine. When it cold colder I rolled the sleeves down and buttoned up all the buttons. If it got windy or really cold I popped on my Uniqlo Ultralight down jacket. I think if I were going anywhere colder or wetter I’d have taken my long sleeve merino wool shirt and perhaps an ultra light rain/wind jacket to layer with the rest of the clothes. With regards to laundry I washed my underwear in the shower each night so that I would always have a clean pair for the next day. I washed socks in the dry sack and my shirt had at least 1 wash and dried within hours. I wore the merino shirt and the outlier shorts as sleeping clothes but I could have also used them to go swimming or for hotter days. Overall I’m pleased with how this bag performed but It was a bit hard to squeeze things in and organise them due to the limited space and stretchability of the bag. Although the trip was only 10 days I am positive that I could have travelled further and longer given the chance.